PLENARY: WHO AM I TO BLOW AGAINST THE WIND? In this plenary session, 2018 PMN Artists in Residence, Charlie King and Rick Burkhardt, discuss the process of writing politically inspired/targeted songs and the contexts in which these songs are heard. We hope to spur new thinking about new contexts and new ways that songs can do their best work. Don't sing "Home on the Range" at 3 Mile Island – why are you writing this song? Solos to sing-alongs – what do you want them to do, and who are they anyway? Firing a shot or telling a story - broadsides and ballads. "Union Maid" to "Christmas in the Trenches" – hit the nail on the head or write a song for the ages. Who's your muse? Sources of inspiration and information for writing and singing. When to steal and why. "He just stole from me. I steal from everybody." Woody Guthrie. Part 2: So you've crafted a perfect song. What's the perfect home for your perfect song? Should it be on a concert of songs similar to it? Should it be on a concert of songs different from it? Should it be in a play? A movie? A YouTube video? A protest? An evening of storytelling? A potluck dinner? How can we create new ways for our songs to meet new people? How can we create contexts (including music) which welcome new people, people who might not yet think of themselves as “activists,” into our communities? Inspiring concert performed by a diverse group of artists demonstrating the positive power of music to affect social change. Friday, January 26, 2018 at 7:30 pm. Meeting House, 3 Church Street, Harvard Square, Cambridge, MA 02138. 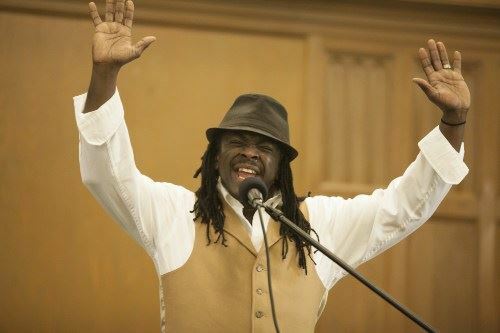 Poet, songwriter, author, workshop facilitator, and educator Regie Gibson has performed, taught, and lectured at schools, universities, theaters and other venues throughout the world. National Poetry Slam Individual Champion! 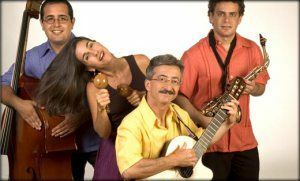 Since 1994, Sol y Canto has brought audiences to their feet from the Kennedy Center to the White House, the California World Music Festival to Boston's Symphony Hall, Puerto Rico's Museo de Arte to the Philadelphia Museum of Art. 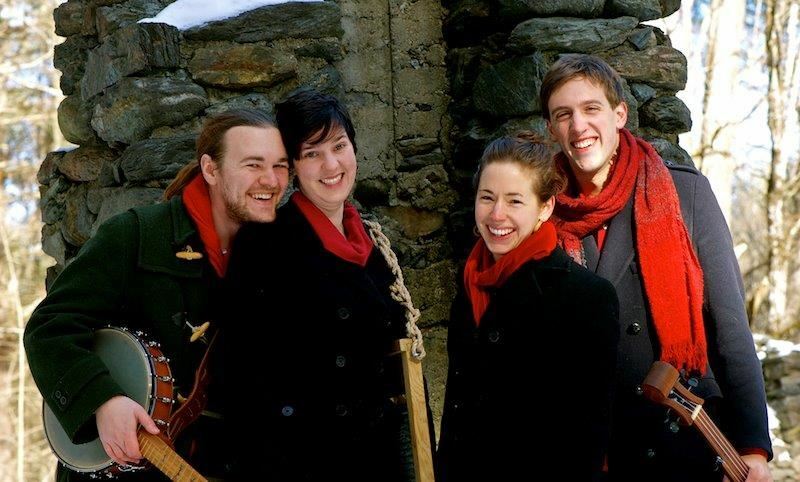 The Boston Globe hails them "sublime ambassadors of the Pan-Latin tradition"
The four Windborne singers dynamic concert programs include songs from Corsica, the Republic of Georgia, Bulgaria, Quebec, and Basque country, as well as traditional and original American folk music. They believe deeply in the power of music to change hearts. Cindy Kallet, Ellen Epstein and Michael Cicone have performed together in concerts, coffeehouses, and festivals throughout New England since 1981. Their close harmonies have inspired enthusiastic responses from audiences and critics alike. 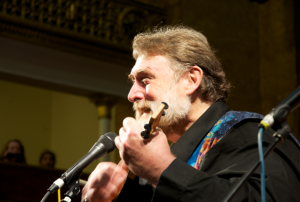 The trio sings both a capella and accompanied by guitar and hammered dulcimer, drawing material from contemporary and traditional music of the British Isles and North America, with a liberal sprinkling of sea music and occasional forays into other cultures as well. 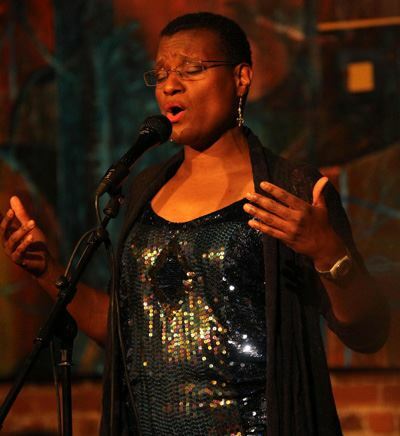 Marcia Gomes’ moving and powerful songs explore themes of faith, redemption, and social justice. Marcia is a Cleo Laine vocal scholarship recipient and graduate of Berklee College of Music with a degree in voice and songwriting. She has performed with a number of popular local Boston bands including the jazz bands Straight Ahead and MaShanDi Jhazz, an all female R&B dance band called ​Sistahs of the Yam, and Move, an R&B pop band. 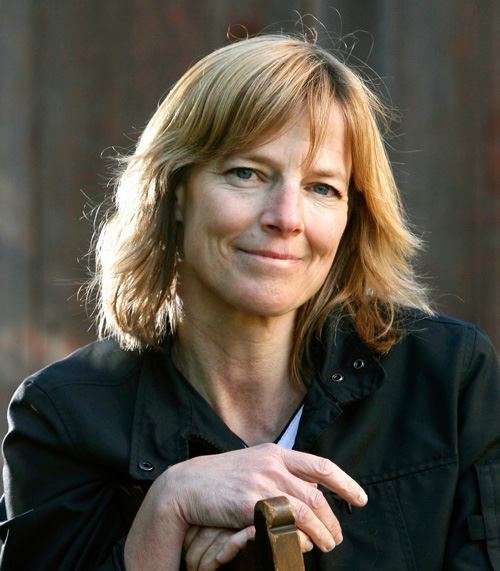 When she is not performing or acting, Marcia teaches voice at the Institute for the Musical Arts summer rock camp for girls, and middle school English with an arts and social justice focus. 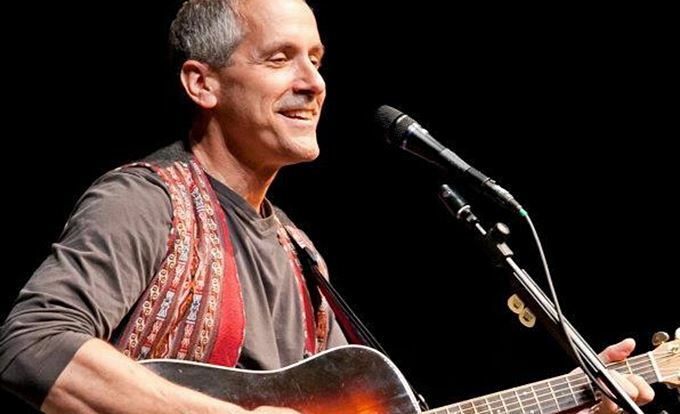 Special guest Cape Cod songwriter David Roth strikes many chords, hearts, and minds with his poignant songs and hilarious storytelling. 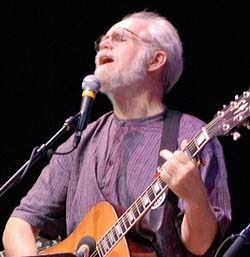 As a singer, songwriter, recording artist, and teacher David has earned top honors at premier songwriter competitions – Kerrville (TX) and Falcon Ridge (NY) – and taken his music, experience, and expertise across this and other countries for three decades. Special guest Colleen Kattau combines the melodic gifts of Joni Mitchell with the fearless lyrical punch of the best topical songwriters. She seamlessly incorporates Latin and Native American influences into her songs for a unique and satisfying sound. Choral conductor Nick Page is a songleader, composer, conductor and author with a boundless enthusiasm for helping singers of all levels of expertise find their voice. He conducts the Arlington-based Mystic Chorale and at the concert will conduct The PMN Chorus. 5:30-6:30 PM – Pick Up Choir Rehearsal with Nick Page (Chapel, AKA “PMN Green Room”). 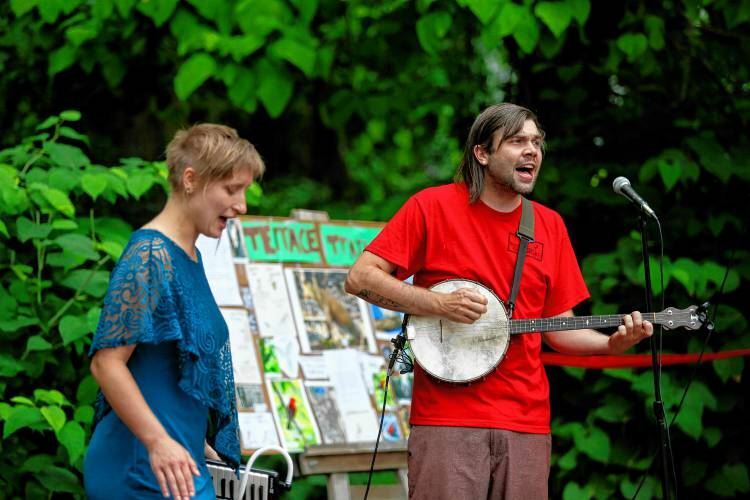 Come join Mara Sapon-Shevin for a musical Shabbat ceremony open to EVERYONE. We will sing songs, light the candles, bless the wine and share challah. No prior knowledge necessary — come sing, hug and start the weekend with extra warmth. Standout and sing out to protest U.S. nuclear war threats and to lament the expected moving forward of "The Doomsday Clock". (The Bulletin of Atomic Scientists will make this announcement 10 AM, Thursday, 1/25). Protesters, singers, all will gather near the Red Line T station and the Out of Town Newsstand. During the Free Space, you can propose a workshop, activity, or jam right up to the very last minute. Deadline for proposals is Saturday at 4:00 PM. At the registration table, write up a description of a small workshop, discussion, or activity that you’d like to help lead during this time. Use the schedule grid to reserve a room. This is an opportunity for last minute collaborations among artists, as well as people who missed the deadline to submit a workshop. Since our physical space is limited, sign up as early as you can. The topics, group leaders, and locations will be announced at the end of the plenary, which is Saturday at 4:50 PM. Large pieces of paper will be posted to indicate what is happening where. Please start thinking now what topics you’d like to connect with other musical activists about. Also feel free to use this time for napping, exploring the neighborhood, jamming in the hall, or socializing. The Round Robin is a concert in which everyone gets a chance to perform. Given the limited time, please keep introductions to one line, or better yet, no intro. You will have one song, not more than 5 minutes. Priority is given to first time performers, children and those with special needs. Others are chosen by lottery. Experienced PMN members, including Charlie King and Rick Burkhardt, will be available for one-on-one mentoring opportunities throughout the weekend: get pointers on your guitar/vocal and performance technique, work on your songwriting skills, or just talk to your mentor about finding your way as an independent musician. You may sign up for a session at the registration table when you arrive for the weekend, assignments will be on a first-come first-serve basis. If you are interested in being a mentor to other artists, please contact Ben Grosscup. Our movements for social change need to be intergenerational, and we know that kids are curious and creative, so why not hold space for kids to make intentional art? This year’s Youth Creative Convergence is a unique opportunity for kids, youth and caregivers to come together around creative arts and social/environmental justice. From theatre to juggling to making upcycled instruments, you’ll be amazed and invigorated by the end of this gathering. An exercise creating collective poetry, may work better for 8 and up. Involves some writing solo and some reading together. Ren is a dynamic and visionary artist and skillful facilitator with youth, currently working with Urban Art Beat in NYC. A friend will join me with guitar and we will create sounds thru our movement, and movement from his created sounds (all ages). Learn sign language through the power of song! A solo and collaborative artist in both children’s entertainment and coffee house venues, Lydia delights concert audiences. Lydia offers performance workshops and co-creates arts-in-education projects. Your chance to defy gravity! Lighten your load and brighten your day by learning to juggle- In Slow Motion! Between colorful, lightweight nylon scarves that float slowly and simple step-by-step instructions, you'll soon be able to keep more objects in the air than you have hands. Juggling is poetry in motion, and its flowing rhythms and colorful patterns are like music to your eyes! Rob Peck is an electrifying presenter and hilarious teacher you don’t want to miss. The Earth Day Everyday Workshop is for 3 – 7 year olds, and teaches them how to help keep the earth healthy. The children will make musical instruments from recycled containers, sing along to songs written by Paul as he plays guitar and have fun. Paul Goldman is a retired research scientist, has a passion for environmental education and creating interactive learning experiences for the next generation. Let’s have some fun writing songs! Using YOUR crazy ideas you’ll create funny limerick songs of your own, then together we’ll write a full-length song about a topic you choose. Your ideas count and your words matter. Let’s create an original song and sing it out loud! Martin has 30 years experience doing songwriting activities for K-6th graders. Ever want to make something with your kid? Parents and caregivers will be delighted by what can come from creating a song with your kids ideas for lyrics. 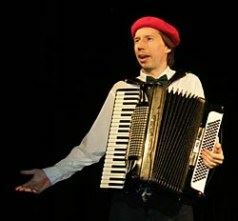 Tonez is an improvisational musician for kids dance classes as well as an independent musician. Know a kid who likes to bang pots and pans together? Who doesn’t love doing that? Percussion for kids is a fun way to engage with ideas of rhythm, tone, movement, excitement and balance. Tonez is a lifelong drummer, has worked with kids for ages and performs with many musical groups. Everybody can shake, twist, stretch, freeze and groove. Come one, come all. Movement is essential. Jayme is a movement artist, game player and lifelong learner. A technique from Brazil, come to learn about Theatre of the Oppressed - a series of games and exercises designed to help us be more courageous in our daily lives. Jayme studied TO at Hampshire College with Natalie Sowell. Interact and Generate:Participants are invited to create, co-create and improvise with each other. Pass the Torch & People’s History:We share parts of the many histories of artful resistance that inspire us. We engage with the social justice questions of today and consider creative responses. Ideas from youth are celebrated and youth leadership is taken seriously. Lead by Example & Share from Your Heart:Workshop leaders, organizers and performers show generosity and integrity through their offerings.